How to (re)light the mathematical flame in you. Nowadays there is a massive growth of data which is leading to mathematical modeling appearing in a growing number of industries. This is the perfect time to become curious about all those things you learnt in your mathematics classes and courses. To help you with this, I’m sharing some fun mathematical resources to explore. This type of social network analysis can also be applied to some surprising situations, for example: the Marvel Superhero network, the Movie Actors Network and a social network from the characters in Star Wars. For all of these networks the heroes, the actors or the characters will represent the nodes of the graphs. Connecting the various nodes is different for each of these networks. For the superhero network, there will be a line between two characters when they occurred significantly in the same comic book. For the actors if they played in the same movie. Finally, for the Star Wars characters if they spoke to each other in a movie. help you to gain some hands-on experience with Spark. Spark is an engine for processing very large sets of data. It has a machine learning library, this means a lot of mathematical programs that can be used to find patterns in large sets of data. If you want to make beautiful graph visualizations, you can use gephi. 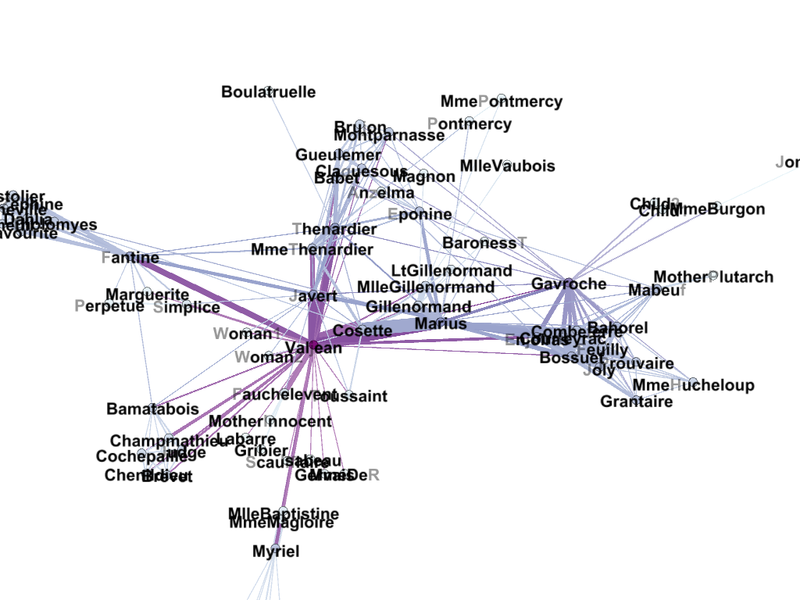 Gephi is an open-source software for visualizing and analyzing large networks graphs. mathematical puzzles, tessellations, fractals, Rubik’s cube solving, …. Various people write blogs about their fun with recreational mathematics. Here are some examples a blog of a friend, another friend and a blog on math blogs. Maybe you’ll even be inspired to write your own recreational math blog. Do you want to discover new fields of mathematics and grow your professional network? You might have been part of a mathematics club when you were at university. Similar versions of those clubs still exist for math lovers in the working world. The Meetup group KW Intersections is an example of such a group. They talk about various topics in research in mathematics and computer science. Some topics of the last two years are a geometrical proof of π, quantum computing, neural networks, and type theory. The Meetup offers so many different colours and flavours of mathematics. It is amazing about how much energy comes out of such a group. Hearing someone giving a talk about their passion, makes you look again into your own projects, or let’s you dive deeper into a paper so that you can explain the paper yourself in front of a group. You don’t have time to join this Meetup? No worries, one of hour members films a lot of the talks and puts them on his channel. I hope you found these resources fun and interesting and that you have learnt the many places math can pop up — and when that happens it can be fun! Not all mathematics have to be useful, sometimes it can just be fun. Do you have any fun mathematical resources to share? I’d love to hear all about them. Just add a response below this article.